Suitable for all high and very high-build applications over uneven surfaces. 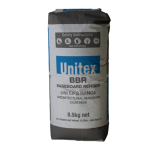 Can be applied over many substrates including Brickwork, Concrete slabs and Panels. It is ideal for multi-substrate application. Is able to achieve 30mm depth in 2-3 passes. A lightweight render, not adding excessive weight to the structure. Easy to use for all skill levels. Download the Unitex Render Brochure here. Download the Unitex Render Usage & Installation Guide here. Uni-Dry Cote® HiLite Render™ is a trowel-applied or spray machine applied high build, light weight render, suitable for a one-coat or two-coat application on all suitable Brick or Block etc, masonry surfaces both inside and out, and is recommended to aid in the protection of masonry walls from the damaging effect of surface ingress of moisture. Due to its light weight, high build can be achieved, even over difficult / uneven masonry surfaces. Uni-Dry Cote® HiLite Render™ is a cement-based polymer modified, High Performance, Water Resistant and Adhesion Promotion masonry render system. Uni-Dry Cote® HiLite Render™ is applied direct to sound and prepared masonry surfaces, either mechanically (sprayed) or by Trowel and rubbed up to a true and even surface. This product is workable at thicknesses from 6 mm up to approximately 15 mm. 30 mm may be achieved with successive coats of 15 mm build up. A minimum curing time of 24 hours between coats is required. Uni-Dry Cote® HiLite Render™ is ideal for building up rough brickwork or filling of rake joins where a skim coat is not suitable. 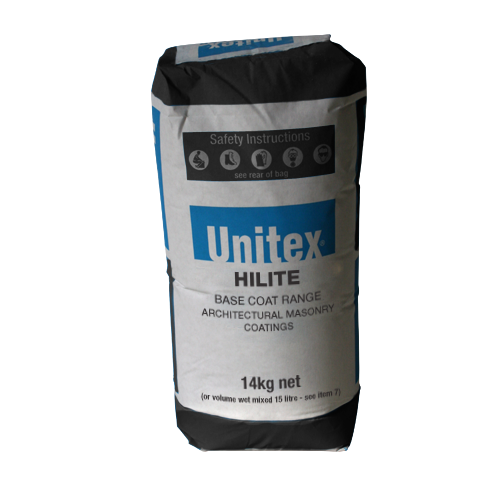 Uni-Dry Cote® HiLite Render™ is supplied in ready-to-use 14kg bags. Before application of any render the surface of the substrate must be clean, dry and free of any debris. This means that any loose or damaged substrate must be removed, or patched and made good, prior to application of the base render. The dry substrate surface must be cleaned free of any grease, oils, scaling laitance, efflorescence, form-oil compounds, mould, fungi, rust, dirt, dust or any other foreign matter. Pre-painted surfaces must be wire-brushed back to the bare substrate. It is the responsibility of the Builder or Head Contractor to make good any substrate before the render is applied. Adequate expansion joints are required to minimise cracking on the surface of the render. Location of the expansion joints is also the responsibility of the Builder or Head Contractor. Unitex® recommends expansion joints to every elevation and between different substrates, to allow for building movements and or stresses. Ideally, expansion joints should be at all penetrations to wall surface. If such expansion joints are not provided by the Builder or Head Contractor, cracking due to movement of the substrate may occur. This is in no way indicative of faulty material. Rather it indicates sub-standard building practice. Uni-Dry Cote® HiLite Render™ products are dry powder-based products. This means that you are getting a 100% active product. All that is required is for clean water to be mixed in, on site, immediately prior to application to the substrate. The recommended starting point is to add approx. 25% by volume, (based on the amount of powder render to be used), of water into a clean container (approx 4.5 litres per bag). Then slowly add the powder, with drill mixing, until the desired slump (consistency) is achieved. Uni-Dry Cote® HiLite Render™ should be left a minimum 24 hours after drying before overcoating with a texture from the Unitex Applied Finishes range. Add the contents of the bag slowly to 4 litres of water (25% volume of entire bag) with vigorous drill mixing to ensure a lump free render of required slump. The mix can be later water thinned to required viscosity. Ensure wall surface is stable, clean, dry and free of dust, etc prior to application. 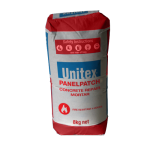 For difficult masonry and non-masonry surfaces contact Unitex for product and surface preparation advice. Unitex Render Warehouse Grand Openings!